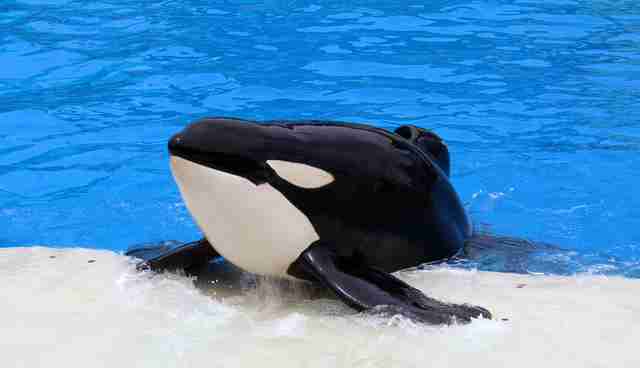 SeaWorld San Diego will end its well-known orca show sometime in 2016, the company announced Monday. Unfortunately, despite early optimism, it looks like the decision is less about animal welfare, and more of an attempt to repackage the experience to make captivity more palatable to potential guests. CEO Joel Manby announced during an investor presentation that the current "theatrical" show will be replaced with an attraction that features a "conservation message inspiring people to act" sometime in 2017. "It will be focused on ... the natural behavior of the whales," Manby said. However, it appears that the new attraction will not be designed for the good of the whales, but rather in an effort to combat growing public sentiment against whales in captivity. Last month the California Coastal Commission's blocked SeaWorld's proposed San Diego expansion, Project Blue World, due to public concern that the expansion was a PR move and would simply turn into a breeding ground for more captive orcas. 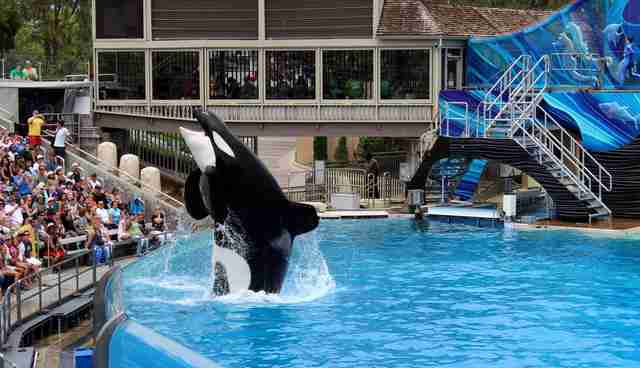 The commission approved the project only on the condition that SeaWorld San Diego end its breeding program. Manby called the decision "unacceptable" and the company pledged to fight the commission's decision in court. On Monday Manby reaffirmed the company's dedication to fighting the commission, calling it a "bad precedent not just for us but for all zoos and aquariums." However, he said that SeaWorld would not necessarily proceed with the project if they win, as the proposed show redesign would be a much cheaper way of achieving the company's goal of convincing the public they're pro-conservation. "Even if we get a positive vote there, it doesn't mean we're moving forward with Blue World," he said, noting that the show redesign would cost up to one-half of Project Blue World's $100 million price tag. "We can achieve those objectives with a lot less money." He described the more "natural" show as a "very marketable attraction that gets a return on investment." The presentation as a whole was a broad look at SeaWorld's new marketing strategy, a multifaceted approach designed to paint the entertainment conglomerate as a rescue and conservation group. "I really see a company that's focused on protecting wild animals in wild places," Manby said, later suggesting that the company's been too "humble, modest" to push that agenda. SeaWorld has been struggling financially since the release of the 2013 film "Blackfish," which sparked concern over how the marine park treats its animals. On Thursday, the company revealed yet another quarter of below-forecast earnings, taking a stock market tumble. And on Friday, U.S. Rep. Adam Schiff (D-CA) announced that he plans to introduce federal legislation, titled the Orca Responsibility and Care Advancement (ORCA) Act, that would phase out the use of orcas in captivity. It's not yet clear whether this show repackaging will assuage an increasingly aware public. But at this point, it doesn't look like it will be much of an improvement for the orcas. Editor's note: This post has been updated to reflect additional information from SeaWorld's presentation on Monday.